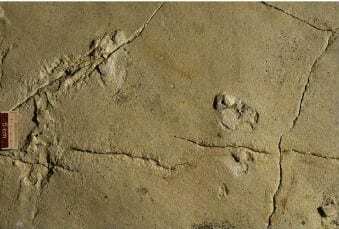 Fossilized footprints recently discovered in Crete have totally overthrown what scientists believed about the origins of the human species, but, one Jewish scientist explained, pose no problem for people of faith. Scientists announced two weeks ago that they discovered about 50 footprints in Trachilos in western Crete. 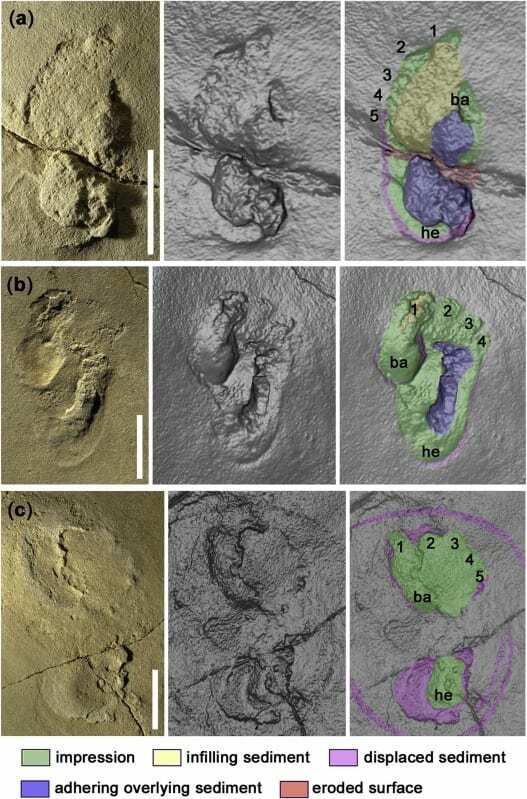 The footprints, discovered in sedimentary stone that was once a sandy seashore or river delta in Crete, are an estimated 5.7 million years old. This contradicts previous theories which state that the genetic ancestors of present day humans came exclusively from Africa, and were isolated there for several million years before migrating to Europe. The recent discovery indicates a much more complex reality. “This discovery challenges the established narrative of early human evolution head-on and is likely to generate a lot of debate. Whether the human origins research community will accept fossil footprints as conclusive evidence of the presence of hominins in the Miocene of Crete remains to be seen,” Per Ahlberg, one of the researchers, wrote in the Uppsala University Newsletter. At face value, this entire field of study seems problematic to the Biblical narrative, which describes man being created on the sixth day of creation slightly less than 6,000 years ago. 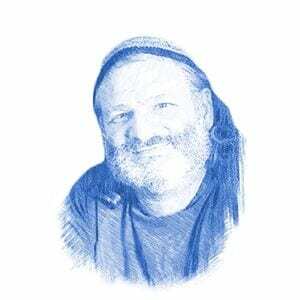 For Dr. Gerald Schroeder, an Orthodox Jewish physicist, this does not pose a problem. The issue of defining a man versus an animal has been a source of difficulty for scientists. Evidence of apes go as far back as 13 million years, but scientists struggle to define when a species can be defined as a hominin (a species regarded as human, and directly ancestral to humans) versus an ape. One of the methods for defining a species as human is by examining the structure of the foot. Though apes can stand and walk for short distances, their feet are very different from those of humans, who are exclusively bipedal. The recently discovered footprints have a distinctively human-like form, with a big toe similar to humans’ in shape, size, and position. The prints also have a ball of the foot in the sole, a feature that is entirely lacking in apes. Dr. Schroeder uses a Biblically-based definition of the species. “A human is defined as an animal that has a neshama,” Dr. Schroeder explained. Neshama is the word in Hebrew for a distinctively human soul and is derived from the word for breath, referring to God creating man by breathing into him. As Ahlberg noted, the new discovery challenges several aspects of the scientific theory of human evolution. After the discovery of Australopithecus in South Africa in 1924, paleontologists began to theorize that the origins of early man lay in Africa. Until this recent discovery in Crete, all fossil hominins older than 1.8 million years came from Africa, leading most researchers to conclude that this was where humans evolved. The footprints discovered in Crete are not the oldest proof of humans, but they are the oldest sign of humans discovered outside of Africa. Though theories of when humans migrated from Africa vary, the new discovery predates all these theories by several million years. The discovery in Crete also dispelled a theory defining a different species as an ancestor of hominins. Ardipithecus Ramidus had ape-like feet, but evolutionists believe its descendants eventually learned to walk upright, leading to the development of bipedal humans. Scientists believed Ardipithecus Ramidus was the ancestor of later hominins. Since the newly discovered footprints predate Ardipithecus Ramidus by at least one million years, they seem to indicate an entirely different line of development for the human species, in which Ardipithecus Ramidus is not an ancestor. Though discussions of evolution and species development seem to preclude religious thought, Dr. Schroeder disagrees, noting that evolution, or development as he prefers to call it, can be God-based. “Is development really random?” Dr. Schroeder asked. “Materialist philosophy says that you don’t need God for this, you only need the laws of nature, but there is no evidence for this, that human development is random. Dr. Schroeder takes his model for evolution from the Bible.